Or: How language helps us make stuff, and objects help us communicate. I’ve written before on constructivsm, or constructionism. https://markchilds.org/2015/02/11/2186/ In the previous post I’ve defined the distinction, one is only about the learning from making things, the other is about both learning through making and through the social activity around making things, but as I’ve now forgotten which is which, you’ll need to go back to that post to find the definition. As I’m now on leave I’ve spent much of today reading … this book. I listened to the podcast when it was on, but the failure of the podcast is that you can’t see the objects. 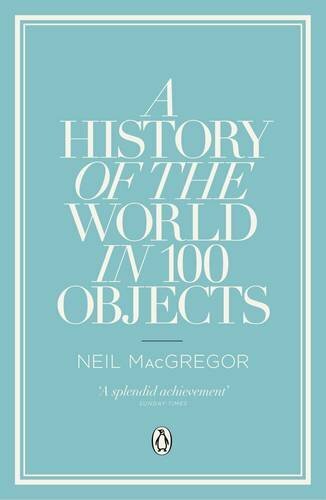 In a way that’s kind of the point, as the conceit of the book is that it’s an alternative way of seeing history, not on the macroscale of empires and so on, but from individual items and what they tell us about the times. It’s as complete a revelation in how to see history as was Connections or biology and The Selfish Gene. One of the first things I read in it was about the Olduvai Hand Axe. It’s from 1.2 million to 1.4 million years ago, has many applications, and enabled humans to leave the African rift Valley and make it across all of Europe and Asia within a couple of hundred thousand years – there have been some found in the UK that date back a million years. One thing MacGregor says is that language and the ability to make things actually are activated in the same part of the brain. The development of communication and of manufacturing occur at the same time, and reinforce each other. The theory underpinning constructionism (or constructivism – making and social learning in combination anyway) actually has a neurological basis. I’ve put together a presentation to support this week’s TOOC topic, which is about online collaboration. There is a video recording of the presentation. a video recording Alternatively you can see the PowerPoint and read a transcript of the audio. It explains why creating artefacts is an ideal task to set students. However, I think it’s also useful for our own practice to make things and share them, and then communicate about them. I regularly now share things half made – notes from meetings, ideas about websites, a tool I’m working on for staff development in TEL – and then ask for feedback. For one thing it makes it easier to work out what I’m thinking. It’s a process Wenger (do I reference him a lot?) calls reification, or “thingness”. “Thingness” is a brilliantly unpretentious word, it says exactly what it means. By making something concrete (if it’s digital it’s not really concrete, but you can see it and play with it) you can see the flaws, see what needs to be done, and work on the next bit. 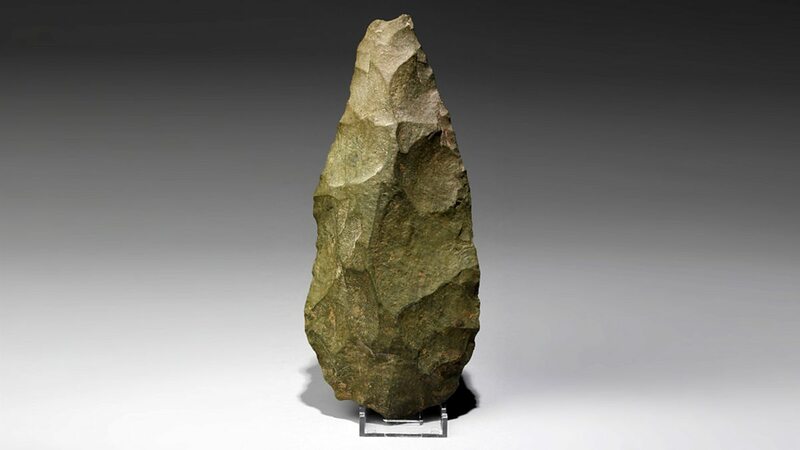 I’m sure whoever made the first hand axe had some idea in his or her head of what it should look like, but that idea would have evolved as more bits were struck off. That’s the process called knapping, and I think it’s a really effective one to replicate with digital artefacts. Chip away, shape it gradually, share that process. The other reason is communication. It’s difficult to really convey exactly what a digital tool or website should contain, so more and more I will sketch it out – usually poorly – and pass around those ropey sketches, rather than sit and explain what I think it should contain. I’m not sure everyone is used to these half-formed ideas being shared, but I think in the long term it’s a faster and more accurate way to convey information. One of the principles of early stages of collaboration is what Carrie Dossick at the University of Washington calls “messy talk”. this is the unruly, scribbly, incremental and reiterative process of bringing together ideas, of ensuring a shared mental space (to go back to the BLTC themes) between collaborators. This is notoriously difficult to do online, but I think there’s a cultural and professional reticence to share the messy stages with others. I’d suggest sharing the messy bit and encouraging others to get stuck in at that stage, (and bigging up my own discipline finding ways to do that effectively online) is an important practice to develop. This entry was tagged constructionism, constructivism, knapping, messy talk, ocsld, online collaboration, tooc, wenger. Bookmark the permalink.